Morris Harding was born in Stevenage, Hertfordshire on 29th April 1874. His early education was at the local grammar school, eventually going up to Cambridge University but leaving prematurely to join the merchant navy for a time, satisfying his innate longing for the sea. He subsequently trained as a painter and sculptor in the studio of his uncle, Harry Bates, A.R.A. who was a leading figure in the nineteenth century New Sculpture movement. Harding also worked under J.M.Swan, R.A., teaching sculpture and life drawing at the London County Council Technical Institute. He was also a member of the Royal Society of British Sculptors and the Society of Animal Painters with examples of his work being exhibited at the Royal Academy in London and the Glasgow Institute. He was most active in the arts community from about 1912 until 1958. Harding also worked on a number of important war memorials on which animals featured and he was commissioned to execute a major work for the Memorial Chapel at Rugby School in 1922. The eminent architect of this project was Sir Charles Nicholson who also became consultant to the Cathedral Church of St. Anne, Belfast at a crucial stage in its construction. 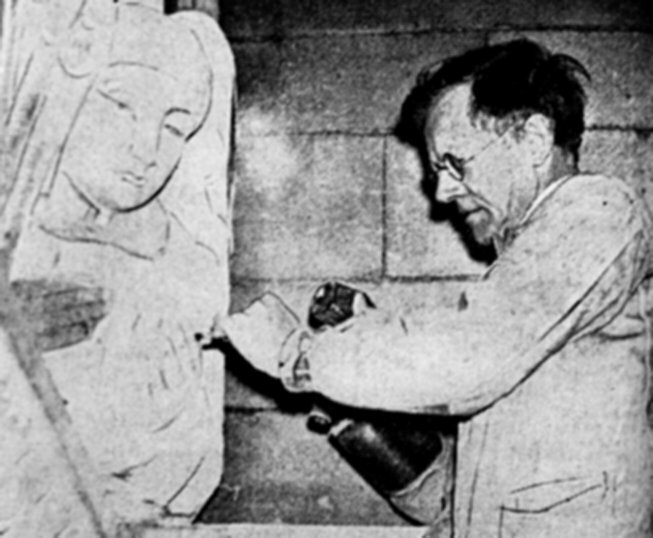 As a tried and tested craftsman, Harding was invited in 1925 by Nicholson, at the age of 51, to work on his designs for many of the capitals and corbels in the nave of St. Anne’s. Along with other carvings and the bronze soldier on top of the memorial lectern to the fallen of the 36th (Ulster) Division, this body of work became the major undertaking of his career. Indeed, it was to occupy his creative talents for much of the next 23 years. Indeed, it could be said that his contribution to the ornamentation of St. Anne’s represented, for him, a labour of love. 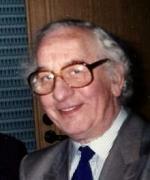 A former parishioner recounted how, during the Blitz, Morris volunteered to keep overnight fire watch in the Cathedral when the city was under threat of incendiary attack. ‘Johnny the Jig’. He eventually chose to settle in Holywood where he had his own studio in Church Road. He became President of the Royal Ulster Academy in 1947, was awarded the O.B.E. in 1950, followed by an honorary Master of Arts degree from Queen’s University in 1958. He died at his home on 15th January 1964 in his 90th year. His considerable contribution to the built heritage of the United Kingdom has been largely forgotten today and sadly, his remains lie in an unmarked grave in Holywood’s New Cemetery. It is indeed timely therefore, that a blue plaque at his former home should now celebrate his life and work for all to see.